We drove along talking like that for a little while longer before getting to Facebook’s campus, where he dropped me off. Before he did, he pointed to the giant “Like” sign that stands at the entrance. On the back, the sign still says “Sun Microsystems,” for the Silicon Valley giant that once occupied the space — that is, before it slowly crumbled and eventually sold itself to Oracle (ORCL). At 15 years old, Facebook sits at a pivotal moment in its history. For many years, the company operated with a self-assurance that’s shaped many Silicon Valley companies over the last decade, a “trust us, we know what’s best” attitude. It’s an arrogance that led to innovation — Facebook arguably could not have become what it has without it — but also a hubris that has landed the company in the center of a debate about tech’s complicated role in shaping humanity. And the question always hangs: Will Facebook remain a giant of the Valley, dominating social networking? Or will its sign, too, get taken over one day? Much of Facebook’s history has been shaped by bets that founder Mark Zuckerberg made which paid off, and by the company’s own faith in itself and what it is doing. Facebook and Zuckerberg launched News Feed over protests; it has now become central to the company. Zuckerberg turned down a billion dollar acquisition offer from Yahoo; the company is now worth almost 500 times that. People scoffed when Facebook bought Instagram; now that deal looks like a steal. At the same time, though, there was always a tremendous blindspot. A company that connected billions lacked a basic understanding of human beings, and of all the potential complications, consequences — and actual casualties — that would come along with connecting the world. I’ve visited the company many times over the past year, covering Facebook as it hits its 15th anniversary for our CNN documentary, “Facebook at 15: It’s Complicated.” I’ve been in and out of the campus during some of the company’s most trying moments, as it has come under fire from users and lawmakers over everything from Russian meddling to Cambridge Analytica and privacy issues and more. And I’ve heard it over and over again from Facebook execs, including Zuckerberg himself as well as his number two, Sheryl Sandberg: They were too focused on the good, and they didn’t anticipate the bad. It’s funny, how the smallest things can seem to be what matters most at the biggest moments, and how they can be the things you remember later. It was March 2018, and I was in Facebook’s headquarters to interview Zuckerberg about the Cambridge Analytica scandal, which had quickly turned into one of the biggest storms he and his company had ever faced. Facebook had long asked users to be transparent about our lives, to share so much, and even if to some extent we knew what was then happening with that data we gave up, the revelation of what Facebook had allowed to happen to all that information and how much it hadn’t told us had left users outraged. 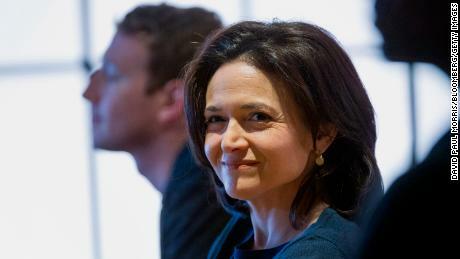 Zuckerberg and Sandberg had been largely silent on the matter, which only served to increase the pressure they were under. The stock was dropping. Now Zuckerberg was finally ready to speak into a camera. Millions would watch. The stakes were high. And yet just before we started the interview, the talk was about the set-up. The subtext: What’s a comfortable setting for one of the most uncomfortable moments in Facebook history — are the chairs we’ll each sit in right? Is the room a good temperature? It might sound ridiculous to some, but it was understandable. This was a hugely important moment for Zuckerberg. The smallest detail, like whether the room was cold enough so that Zuckerberg — who has previously been mocked for how much he’s sweated in a public setting — wouldn’t overheat, or what kind of set up would be conducive to a high stakes interview, could make a difference. Over the next 15 years, and more, Zuckerberg and Facebook will likely face many more such pivotal moments. They won’t all be about privacy or meddling. Many will, almost certainly, be about the business itself. The founders of Instagram have left; so have the founders of WhatsApp, which Facebook acquired in 2014. 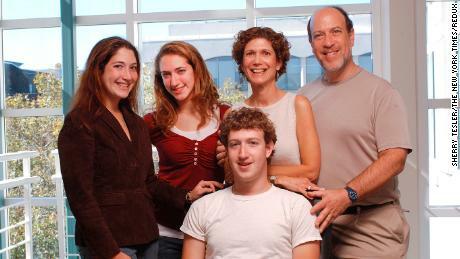 The two companies were arguably the biggest and most successful bets Zuckerberg and his team have made. Now Facebook has made another bet on them — that these services, which have become integral to the parent company’s long-term future, will still succeed even without the people who started them. To make these bets pay off again, and to face all the competitors it may come up against, Facebook will likely need to keep some of that old arrogance. But if it is to avoid Sun Microsystems’ fate, it will need some humility too. There’s something to that. All over the world, Facebook has woven itself into the fabric of society. It had promised to connect us, and in doing so to bring us closer together. But the same platform that did that, the one many credited for a role in the Arab Spring and cheered for the part it played in raising millions through things like the Ice Bucket Challenge, has been weaponized by trolls and nation states, has gotten our data stolen, has spread conspiracy theories and fake stories. It has even been used to fuel violence in places like Myanmar. At 15, the company has its own filter bubble to burst. The challenges ahead can’t be solved with the same old attitude, and without Facebook realizing that it needs to listen to outsiders, and be transparent with them. It’s made that a priority, but it still has a ways to go. There’s no telling how many new issues it will face over the next 15 years, and its reaction to those things will determine whether it remains dominant or loses its position as one of the most powerful tech companies in the world.